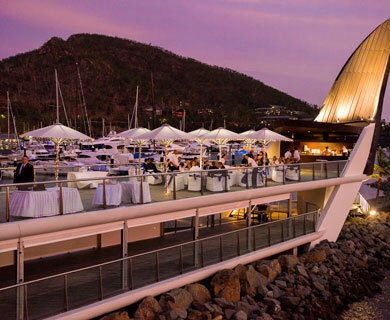 Features a contemporary restaurant, all-day deck and versatile function spaces. These options cater for couples and groups from 10 to 160 guests. Minimum spend ranges from $2,000 to $12,000. The 29 metre catamaran is elegantly decorated with mirrors that reflect the incredible views that compliment any theming. 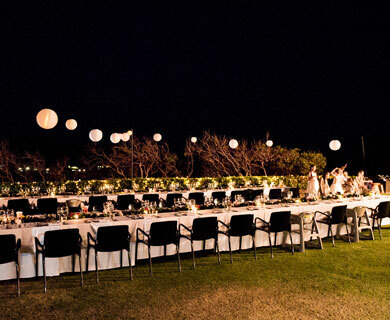 Catering to a maximum of 70 guests seated and 100 guests standing. 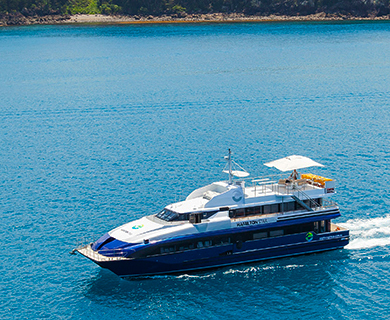 Charter rates start from $5,500. Located on adjacent Dent Island, the Golf Clubhouse can host up to 80 guests with a minimum spend of $7,500 plus $2,700 for transfers and setup. Menu options start from $80 per person. 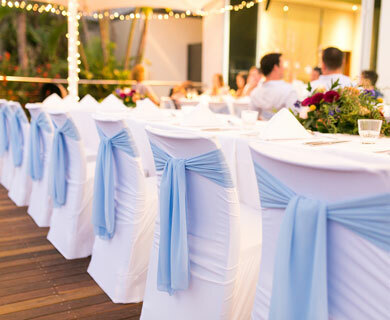 Located at the western end of Catseye Beach, Outrigger caters for up to 200 guests in casual luxury. A minimum spend of $8,000 applies and menu options start from $70 per person. 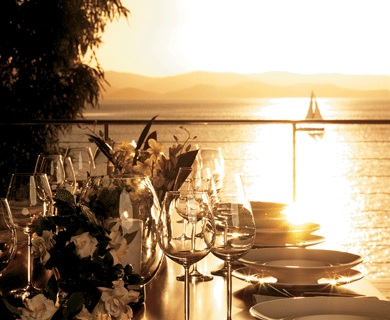 Overlooking Hamilton Island Marina, this rustic and intimate setting caters up to 60 guests. 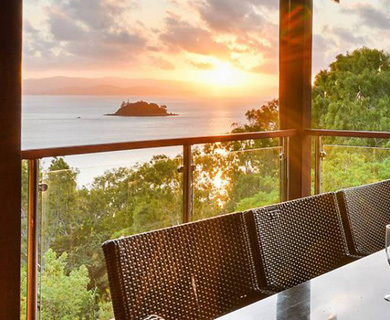 A minimum spend of $5,000 applies and menu options start from $75 per person. Please be aware this venue is not suitable for young children. Located alongside the main resort pool, Poolside receptions hosts groups from 25 to 200 guests seated. A minimum spend of $5,000 applies and menu options start from $75 per person. 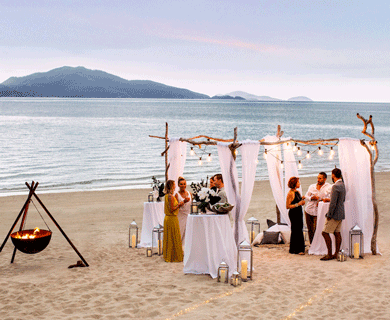 With the sand between your toes, this is as “island” as your wedding can get. Ideal for groups from 25 to 50 guests seated. A minimum spend of $5,000 applies and menu options start from $75 per person. 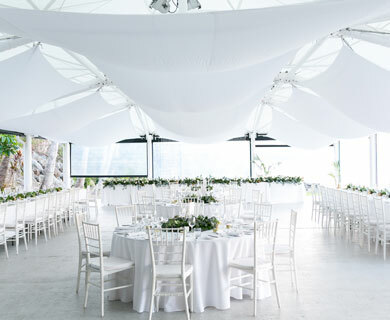 Sails boasts internal and external spaces to suit group sizes from 10 to 50 guests. Larger groups catered for when the entire venue is booked for sole use. Minimum spend amounts range from $2,000 to $15,000. 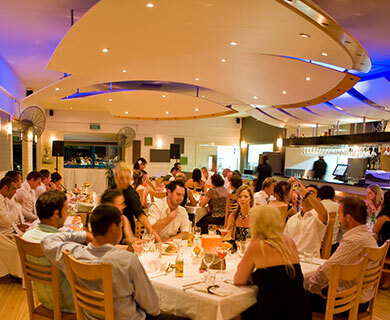 Featuring a range of versatile spaces, Romano’s hosts groups of all sizes up to 130 guests seated. The minimum spend ranges from $3,000 to $12,000. Menu options start from $80 per person. 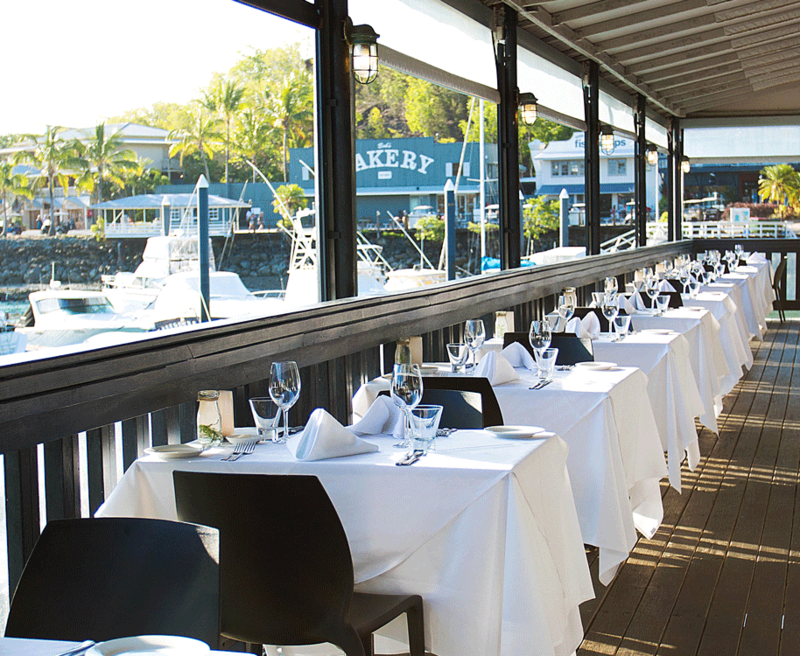 Mariners, with its seafood influence and open plan space, host groups of up to 100 guests seated. 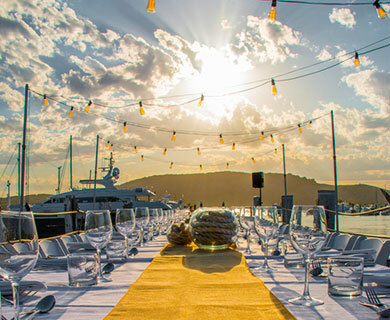 Groups larger than 40 must book the venue sole use with a minimum spend of $10,000. Menu options start from $85 per person. Motor Yacht Alani offers the ultimate in 5 star luxury. 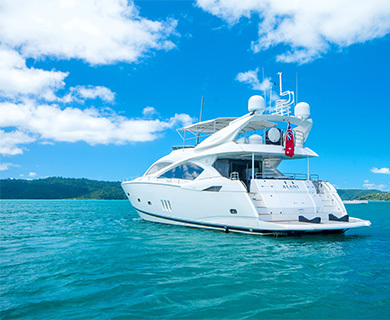 Treat up to 35 guests to this 82 foot Sunseeker and immerse yourselves in the spacious living and entertaining areas. 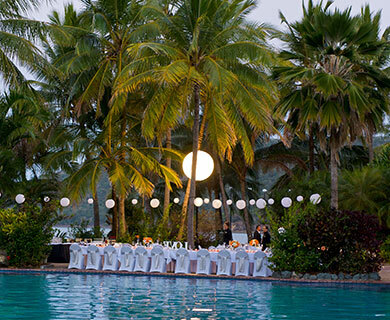 A select number of private property owners on Hamilton Island allow wedding and other events to be held within their properties. Please be aware there are logistics to be considered for these privately owned properties. Perfect for Reaffirmations or Elopements, the celebration dinner venues are suited to smaller groups of between 2 to 20 guests.